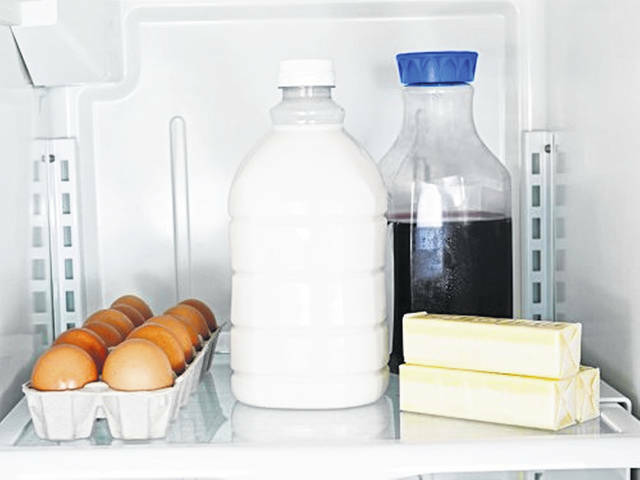 Put perishable food safely inside the refrigerator, rather than in the doors where they would get a blast of warm air every time the door is opened. QUESTION: I’ve always stored fresh eggs in the little “egg caddy” tray in the door of my refrigerator. But my husband says we should put the eggs in the actual fridge itself. Who’s right, him or me? Answer: In this case, your hubby wins the point. Lastly, you should try to clean spills in the fridge immediately with hot, soapy water. You can also sanitize your fridge with a diluted bleach solution of one tablespoon unscented liquid chlorine bleach to one gallon of water.